The end stage of a renovation involves a lot of little tasks: put on the cover plates, caulk the trim, touch up the paint, clean and dust everything. One of the little to-dos on our list was to put the trim on the pot lights. 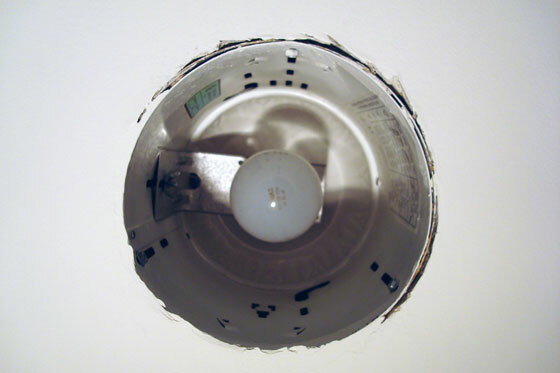 My post on how to install pot lights is one of the most frequently accessed posts on the blog. But it’s unfinished. The housing for the pot light is just one part of the fixture. The other part is the trim, which goes on after the ceiling is finished. Without the trim, the pot light looks a bit rough. The first step in installing the trim is to wash a summer’s worth of drywall dust off of them. This step may be optional for some installations. 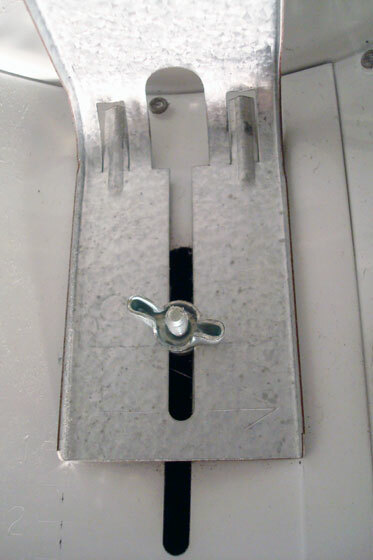 The trim should be made up of three pieces: the baffle, trim ring and spring or hook. Step one is to attach the hook to the baffle. There should be little holes in the narrow end of the baffle specifically for this purpose. 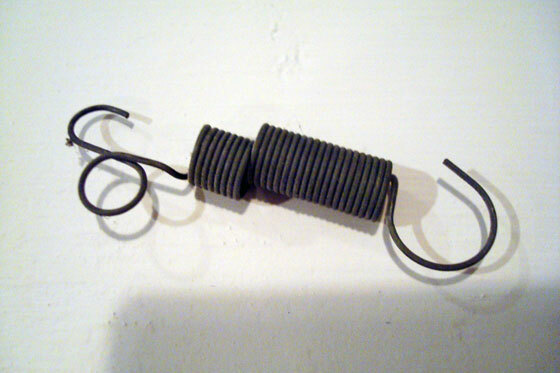 The end of the spring without the loop should be hooked to the baffle. The next step is to connect your baffle and trim ring. This is probably the simplest step. Just slide the the trim ring over the baffle. Remove the light bulb, so that you can reach into the housing. 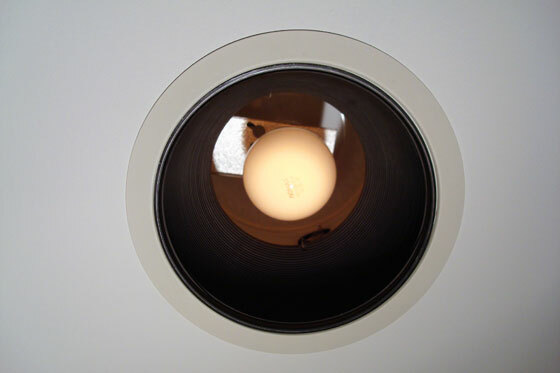 If necessary, adjust the height of the socket so that your bulb is recessed as much or as little as you want. 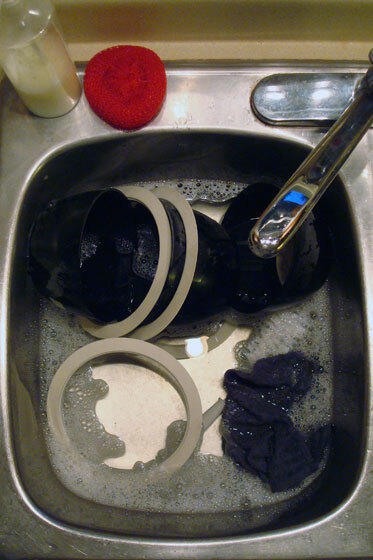 Loosen the wing nut, and the metal socket will slide up and down. 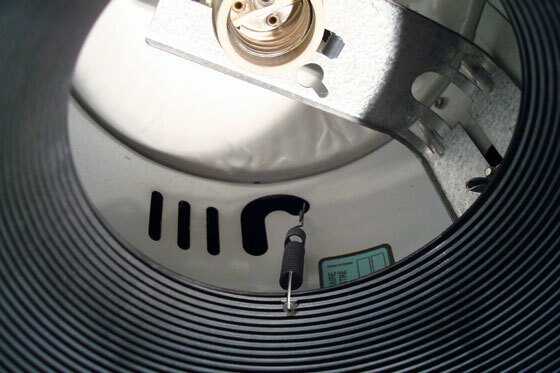 Tighten it back up when the socket is positioned where you want. 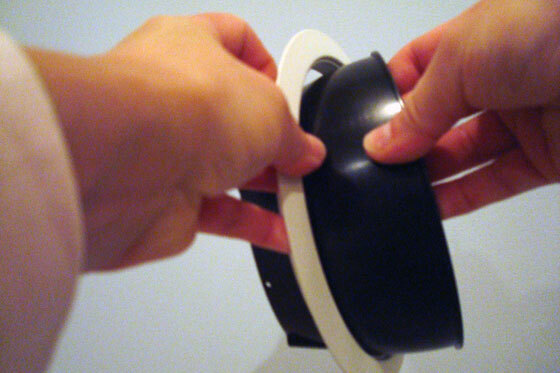 To connect the trim, insert the baffle into the housing, stretch the spring and hook it into the cut out on the pot light. 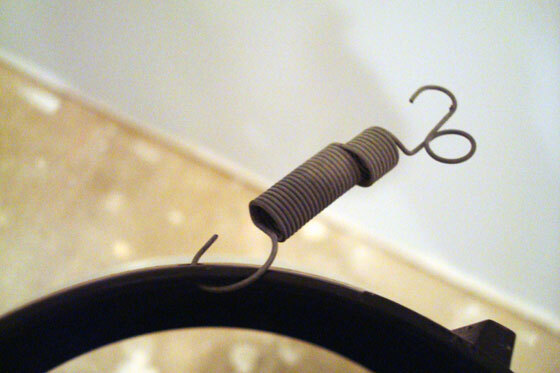 I found I was able to reach into the housing and hook the spring by hand. If your hands aren’t as small as mine, needle nosed pliers may come in handy. Screw the light bulb back in and admire your trimmed pot light. The trim reduces the brightness of the light somewhat and directs it downwards. I may adjust the height of the bulbs if we feel we need more light once we’re using the basement. However, for now the pot lights are bright enough for me to admire our nearly finished basement. Is it weird that I stood there for nearly five whole minutes on the weekend just looking at the rooms and remembering how far we’ve come? Well done. I have admired your involvement in all stages of this reno. 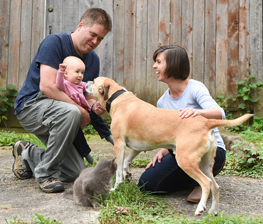 You should be very proud that you have equally contributed to the beautiful results. Thanks so much! It’s very rewarding now that we’re seeing it come together finally. I’d never done that math. I think I could have taken at least 25 minutes using that calculation.